It seems that developers of internet browsers on Android have been busy as the major browsers have all released new updates. Dolphin, the fast and elegant browser Dolphin Browser HD - Fast & Elegant Mobile Browsing On Your Android Dolphin Browser HD - Fast & Elegant Mobile Browsing On Your Android Dolphin Browser HD is a mobile browser for Android 2.0.1 and up. With over 250,000 downloads, it is the most popular browser on the Android market. The browser supports flash, HTML5, navigation with gestures and... Read More , has had the most significant update. For starters, the browser now comes with a master password, giving you one more layer of security. Dolphin 10.1.2 now features Night Mode, which can be activated from the swipe menu on the right. This darkens your whole screen for a battery-friendly and more eye-popping experience. There’s a new option to also customize Dolphin with new skins. Under the hood, Dolphin’s got a bunch of new improvements too. Launch performance has been improved to make it faster to start the app. A bug in Android KitKat that didn’t let you pinch-to-zoom has now been fixed. Apart from that, you can also download files to your external SD Card. Dolphin is free to download from the Play Store. Google has pushed Chrome 31 to the stable channel. Apart from a few security fixes and improvements for stability, performance and security, the browser comes with enhanced autofill for a faster checkout experience on sites supporting requestAutocomplete. We talked about this web payments system Google Chrome 31 Beta Packs Web Payments, Application Shortcuts For Android Google Chrome 31 Beta Packs Web Payments, Application Shortcuts For Android The Chrome 31 Beta has great new features in store, including a new e-payment system as well as mobile website shortcuts on Android. Read More in detail when Chrome 31 Beta first rolled out. Meanwhile, the beta version of Chrome has also had an update, which fixes browser crashes and temporarily removes the ability to add an application shortcut—it will return in a future beta. Google Chrome is free to download from the Play Store. 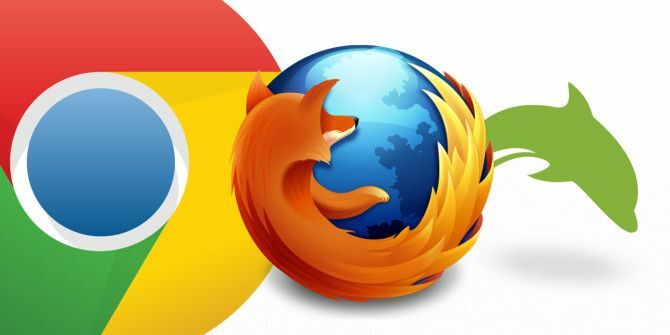 There’s a small update on Mozilla Firefox for Android, but if you’re using the browser—and you should, since it’s among the 7 Android browsers better than the native 7 Browsers That Are Better Than the Native Android Browser 7 Browsers That Are Better Than the Native Android Browser I set out to get a handle on the latest available browsers out there that are better than the native ICS (Ice Cream Sandwich) Android browser. Some of the apps that made it to the... Read More one—then you might want to grab the new v25.0.1. “It appears that Mozilla’s engineers identified a security vulnerability onto the browser itself and had to patch it up before the issue could be exploited by hackers,” Softpedia reports. Mozilla Firefox is free to download from the Play Store. Explore more about: Dolphin Browser, Google Chrome, Mozilla Firefox. This article is seriously in need of an update! It's 4 years old, ancient history when it comes to electronics software.